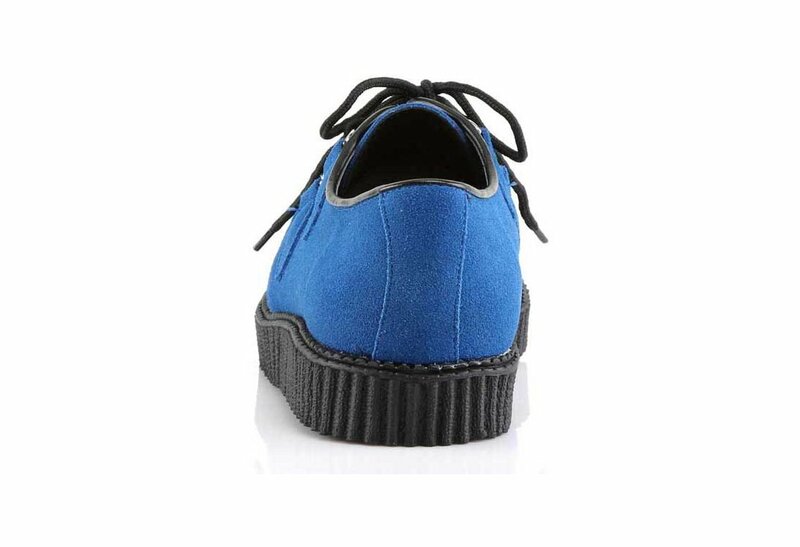 Royal blue suede creeper shoes with 1 inch platform and d ring lace up. Interwoven apron and piping detail. Imported. Unisex style shoes. 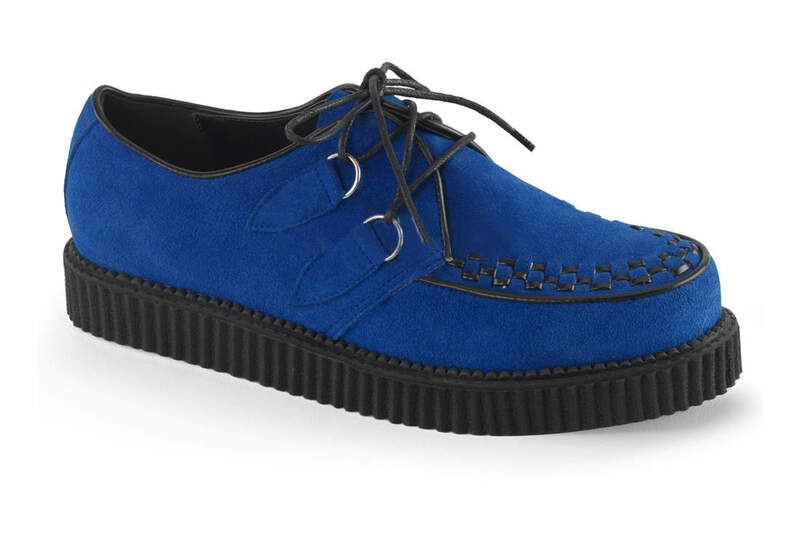 Comfortable creeper shoes with a little bit of oomph! As an Artist of the underground scene in New Orleans I must have unique shoes. I choose to wear creepers as a part of my daily uniform. 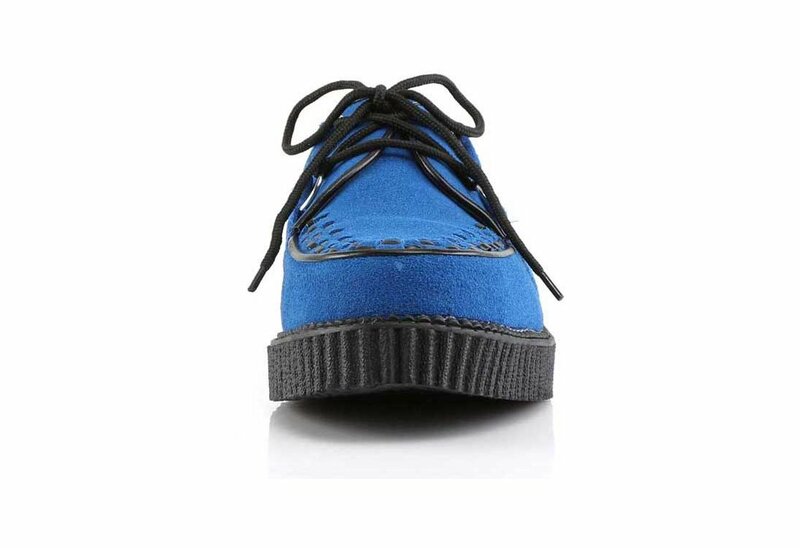 Over the past 25 years it has been hard to continue to find the Blue Suede Creepers. Brands have come and gone. 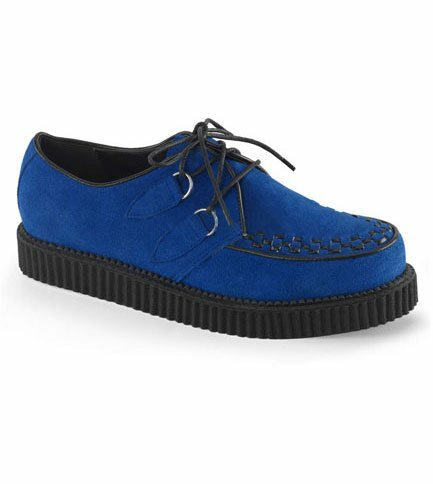 From soles falling apart and other manufacturing problems has made it hard to find the right creeper for me. I grateful to have found them on rivithead. 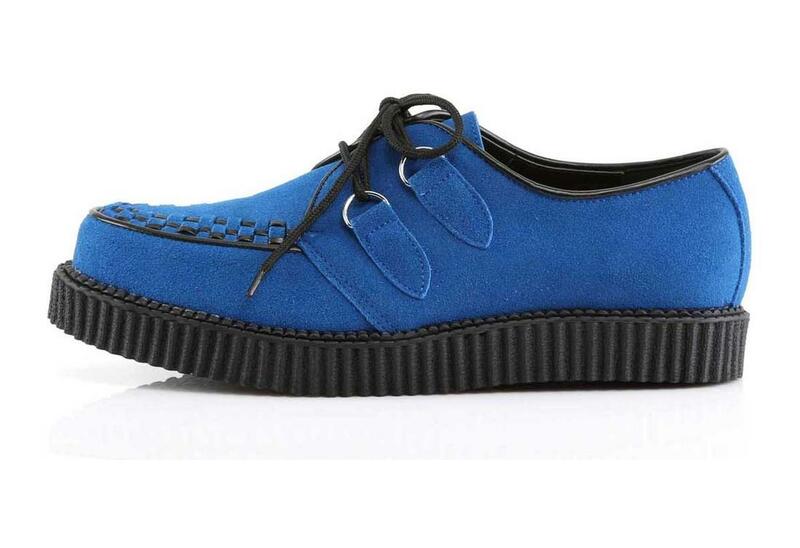 I hope this brand of creepers hold up so I can buy another pair! They are exactly how I remember them from 20 years ago. I plan on getting a bunch more. Comfy too.